As the name suggests, pumpkin juice is a juice extracted from raw pumpkins. This juice gained immense popularity among the children when it was shown as part of the wizard world in the Harry Potter series. Pumpkin juice has several health benefits due to which it can be used as a healthy substitute for carbonated drinks. Moreover, pumpkin has a high content of vitamin D as well as minerals like copper, iron and phosphorus. Juicing is a suitable way to obtain these nutritional benefits of pumpkin. This juice is highly regarded by vegetarians because of its delicious taste and versatility of use. Besides consumption, it is also used as an active ingredient in many sweets and pharmaceutical preparations. How to make Pumpkin Juice? Pumpkin juice is an extremely versatile juice that is used in several recipes apart from being consumed in its raw form. The method of making pumpkin juice is quite simple. Before proceeding to make pumpkin juice, ensure that the pumpkin is sweet which is suitable for eating or making pies. These pumpkins are relatively smaller in size. The pumpkin should also have consistent colour. Wash the outside of the pumpkin properly and peel the hard outer skin of the pumpkin. Deseed the pumpkin and cut it into small chunks. Place the pumpkin in the juicer and extract the juice. Sweeten the juice by adding desired quantity of sugar. Alternatively, you can use honey or apple juice in case of obesity. You can enhance the flavor of the juice by adding spices like ground nutmeg, ground cinnamon or ginger or even lemon juice. But these should be added in moderation so that they do not interfere with the natural taste of the drink. Pumpkin juice can be served over ice to enhance its cooling and refreshing effect. Here are the benefits of pumpkin juice for you health, skin and hair. The benefits of pumpkin juice are numerous. Just like the vegetable itself, pumpkin juice contains vitamins B1, B2, B6, C, E and beta carotene; minerals such as potassium, phosphorus, calcium, magnesium, iron, sucrose and organic matter. It also contains carbohydrates and certain vital salts and proteins. Half a cup of pumpkin juice is recommended every day, thanks to its various medicinal and therapeutic properties. Some of its health benefits are given below. 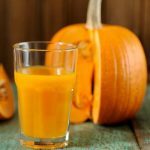 Pumpkin juice is very beneficial for liver and kidney. Those suffering from kidney stones and gall bladder problems can improve their condition by drinking half a glass of pumpkin juice three times a day for ten days. This orange colored juice is a great cleanser that helps to get rid of the old build-up of arterial deposits, thus reducing the risk of heart diseases and stroke. The high content of anti-oxidants helps in preventing arteriosclerosis (hardening of arteries). Pumpkin juice is beneficial for the digestive system and is helpful in curing both constipation and loose motions due to its laxative action. This juice is effective in curing ulcers and acidity. 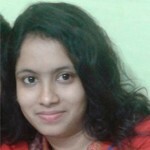 It enables proper functioning of kidney and urinary system. Due to its sedative properties, pumpkin juice is effective in curing insomnia. Insomnia patients are advised to drink a glass of pumpkin juice with honey. It minimizes the risk of high blood pressure. It contains pectin which helps in reducing cholesterol. A mixture of pumpkin juice and honey is an excellent cooling agent and thus can be effective in lowering the body temperature. Pumpkin juice is effective in providing relief from morning sickness in pregnant women. Those suffering from viral hepatitis A can benefit from drinking pumpkin juice as part of their regular diet. The biologically active substances present in it help in reactivating liver functions. Vitamin C and other minerals present in the juice act as immunity boosters and thus protect the body from various diseases. Apart from its range of health benefits, pumpkin juice is also beneficial to your skin in the following ways. As pointed out earlier, fresh pumpkin juice is a great source of vitamin C, vitamin E and beta-carotene which help in maintaining a healthy and beautiful skin. Being a cooling agent, it is effective in the treatment of burns, abscess and inflammation and also provides relief in case of insect bites. The high quantity of anti-oxidants in the form of vitamins A, C and E and zinc makes it an excellent healing agent. 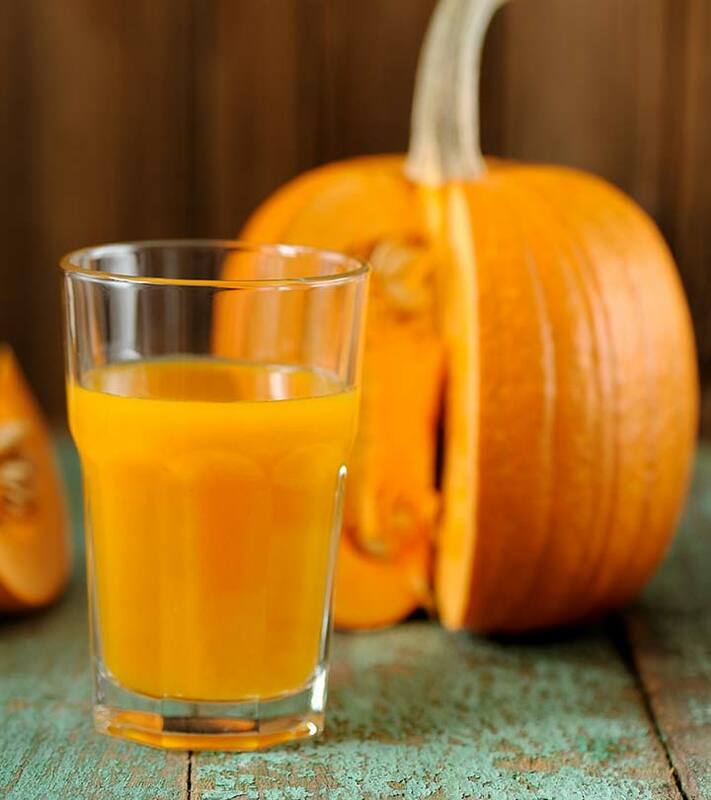 Regular consumption of pumpkin juice is the best way to obtain the healing properties. Its high nutritional value makes it an active ingredient in many anti-wrinkle and hydrating creams. It is widely used in facials in combination with other ingredients like honey, yoghurt, lemon juice and vitamin E oil for different skin types. The benefits of pumpkin juice for hair cannot be ignored. As said earlier, this juice is a great source of vitamin A which is extremely beneficial for your scalp. Moreover, it has a high content of potassium, a nutrient that helps in promoting the regrowth of hair. This makes it effective for treating hair loss. Puree the pumpkin and yoghurt in a blender and add coconut oil and honey. Apply this mixture on the hair and cover it with a plastic cap. Leave it for 15 minutes and then wash out thoroughly using shampoo and conditioner as usual. Thus, pumpkin juice comes with a range of benefits for health, skin and hair in addition to its refreshing and delicious taste. However, before consuming or using this juice, ensure that you are not allergic to it. Hope you would make use of this magical fruit more. Don’t forget to leave us a comment.